A federal appeals court has struck down a ban on homeless people in Los Angeles living in their cars, basically saying the law was so broad it could be used to cite someone eating In-N-Out in their car. The ban has existed since 1983 but has recently been used to cite people living in their cars in Venice after residents there complained. After a group of homeless people living in their cars sued the city and lost, they appealed to the U.S. 9th Circuit Court of Appeals, which unanimously ruled that the ordinance was unconstitutionally vague and could be used to discriminate against poor people, according to the Los Angeles Times. 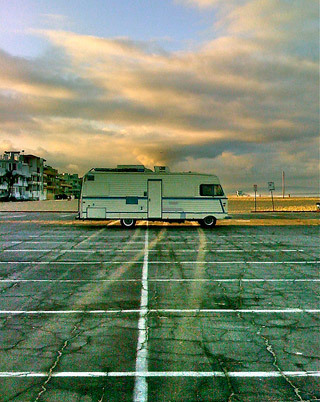 The ordinance bans people from living in cars or RVs both on city streets and in parking lots. The appeals court said the language of the ordinance was broad enough to cover any driver in L.A. who eats in their car or is even transporting personal things, but seemed to only be applied to the homeless. Other cities have similar laws against sleeping in cars overnight, but Los Angeles’ specifically banned using cars as living quarters, both overnight and during the day.